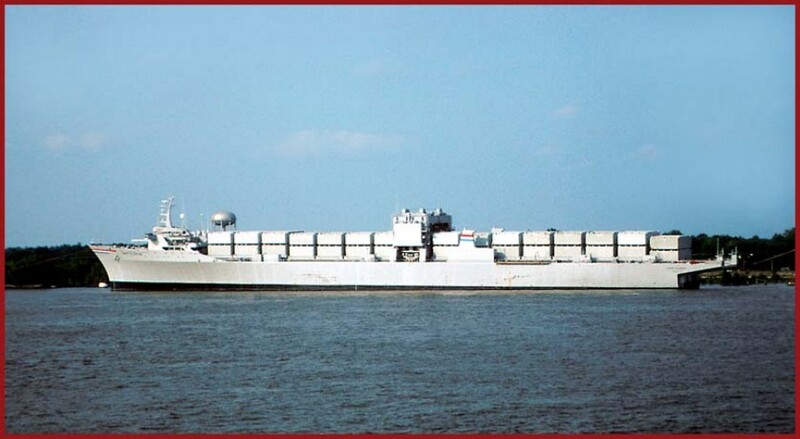 Laid down, 29 December 1969, as SS LASH Turkiye a Maritime Administration type (C8-S-81b) hull under Maritime Administration contract (MA 229) at Avondale Industries Corp., New Orleans, LA. 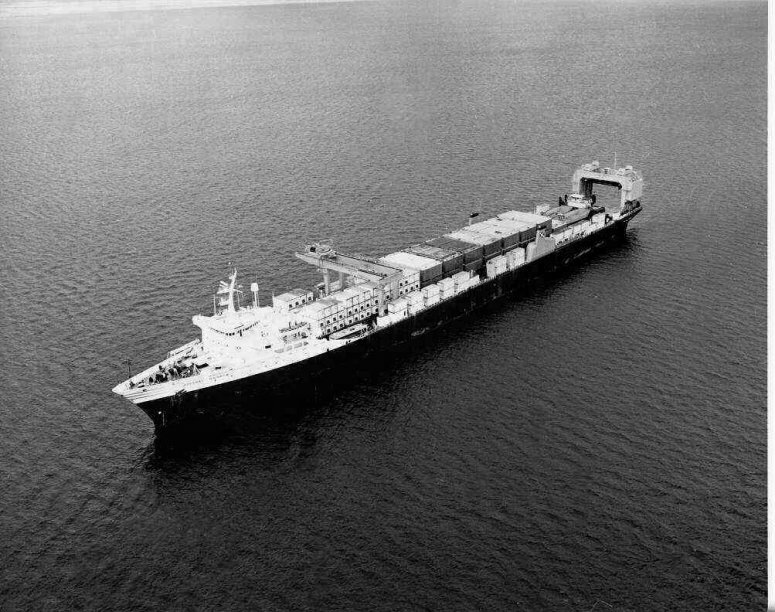 122k SS American Caribe underway, date and location unknown. 47k SS Cape Florida (AK-5071) moored pierside, date and place unknown. 81k SS Cape Florida (AK-5071) at anchor on the Mississippi River in July 1995.